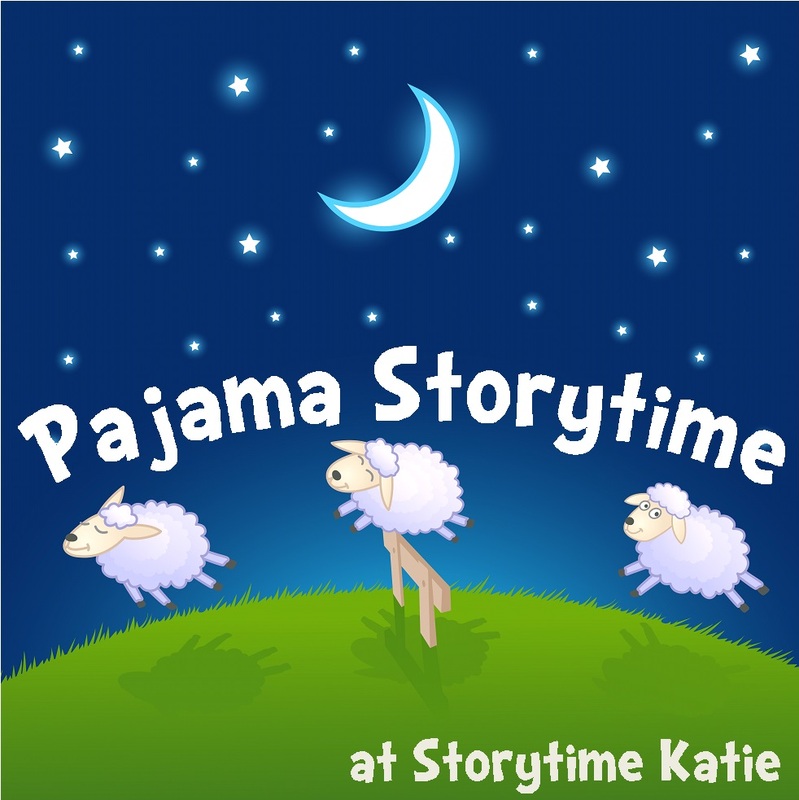 After the library stopped hosting “Afternoon Storytime” and a trial program of “Starry Night Stories”, I made the decision to start a monthly “Pajama Storytime” session at the library. I wanted to give families the chance to enjoy hearing stories together — and especially wanted to try again to host an evening program. Our suggested age range is ages 0 to 7 and their families, which means I sometimes get a few older siblings. The goal in this program is simple: foster a love of reading and particularly of reading together as a family! Since “Ten In the Bed” worked so well as an action song last time, I decided to use the book this time. The kids LOVED the book and it was definitely the favorite of the night. A very, very, very close second was “Dinosaur Vs. Bedtime” since it allowed them to be very loud right before bed. I had the cutest family this month who brought not only their favorite stuffies, but pillows and slippers and blankets and they curled up on the rug together. The favorite books tonight were definitely “Who Said Coo?” — the kids really enjoyed the rhyming words — and “Itsy Mitsy Runs Away.” And I had a lot of enthusiastic participation during “Ten In the Bed” with very loud singing and actions. The Squeaky Door. Holy cats, THE SQUEAKY DOOR. I saw this performed live last spring and this book captured my heart. It is funny. It has animal noises. It’s repetitive. It’s great for an older crowd or mixed audience. And it absolutely won this storytime. Hands down, favorite book. 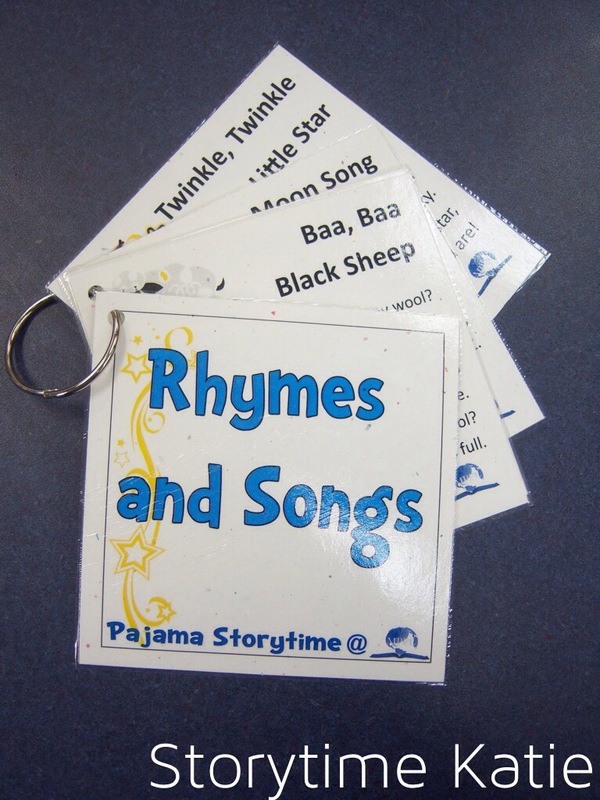 Since we don’t do a craft at Pajama Storytime, I decided to create a little something for my families to take home and I came up with the idea of rhyme cards on a laminated ring. Each month will have a different rhyme that we do at storytime and then send parents home with the words. This is a picture of the rhyme cards after quite a few months. This first month, I did Baa Baa Black Sheep. The absolute, hands-down favorite book was “Tiger Can’t Sleep.” The kids thought it was hysterical that Tiger was having such difficultly sleeping. This session was a good deal of older kids (6s and 7s), so they really appreciated the humor. All in all, it was a good launch to the program! This was a special evening storytime program that I did over the summer. Attendance was pretty good (15 kids), so I have plans for doing a once-a-month evening storytime when the weather turns nice again. 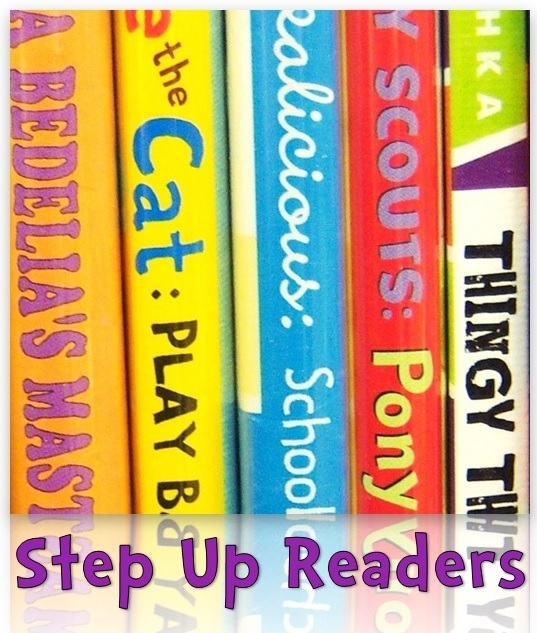 Anyways, there are SO MANY great bedtime books that I would almost never run out of material! This time, I started with some of the books we own in our in-house storytime collection for convenience. What I really liked about evening storytime (and why I’ve decided to do it once-a-month this summer) is that I got a whole different crowd of kids and parents. I was serving patrons that for whatever reason were not served by morning or afternoon storytime! Since we’ve tried evening programming in the school year (and it flops), I’ll give it another go this summer! As for the program itself, the kids were very quiet and attentive during storytime but they really let loose during craft and we had a great time. I was the only participant to actually show up in pajamas though!